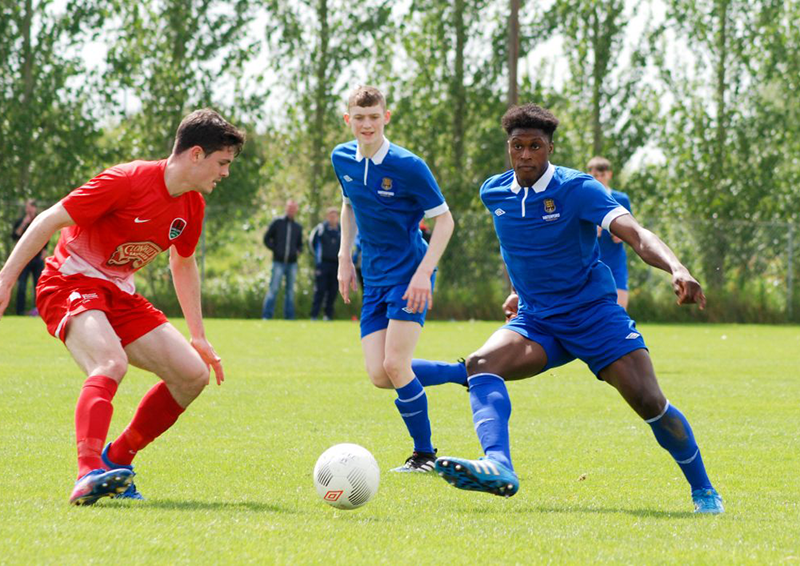 A tough weekend for the Waterford FC U19 side in the SSE Airtricity Under 19 Southern Elite Division after they lost out to Cork City in their Munster Derby meeting played at the RSC on Sunday afternoon last after the visitors claimed a 5-0 success in a game that saw the Blues miss first half chances. 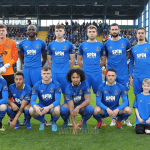 The game was less than a minute old when the men from Turners Cross struck the front when Daire O’Riordan played the ball into the feet of skipper Aaron Drinan and he unleashed an unstoppable right-footed shot past a helpless Blues keeper Charlie Heffernan. After John Martin went close for the home side on six minutes, it was Cork that scored their second goal of the tie on nine minutes when Ross Welch took a pass from Denzil Fernandes down the right before crossing to the near post for Drinan, who turned superbly before firing past Heffernan. John Martin missed a good chance to bring Waterford back into the game on 11 minutes when he headed over the bar after getting on the end of a Sean Roche left-wing cross before Owen Wall had a shot superbly well by visiting keeper Adam O’Keeffe just two minutes later. 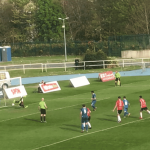 Sean Roche was denied a goal for the Blues on 32 minutes when the centre forward got on the end of an Owen Wall delivery from the right but his close-range header struck the top of the crossbar with Cork netminder O’Keeffe beaten. Aaron Drinan was celebrating his hat-trick for his side six minutes before the sound of the half time whistle when the centre forward latched onto a pass from Adam O’Sullivan inside the area and he drilled a right-footed past a helpless Charlie Heffernan. A fourth goal arrived for Cork City on 41 minutes as they went in at the break in total control of the contest after the home side missed chances when Denzil Fernandes whipped in a free kick from the left that was touched home by central defender Garan Manley. The second period was nothing but a stroll for both sides as the game was over a contest with those four first half goals but the visitors did grab a fifth goal on the hour mark when Daire O’Riordan looped a header over Charlie Heffernan after he was set up by Ross Welch.